Should include a symbol that works in a circle. It needs to be reproduced in a wide range of sizes and formats. 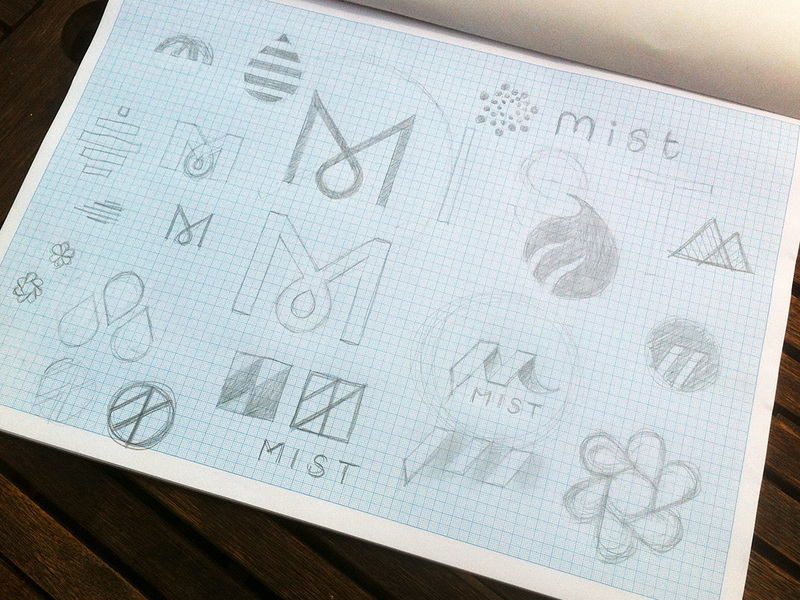 There needs to be a separate logotype consisting of the name Mist only. It is aimed at 25-55 year olds, it is a smoking alternative and can help people give up smoking. It is not: Pharmaceutical, Drug culture, Tobacco / cigarette but It may have similarities with the alcohol or coffee markets. It is a trustworthy brand run by enthusiasts who believe in their products and offer the best quality e-cigarettes and liquids in an accessible way. Its products are tasty and come in an array of flavours that appeal to adults. It is a healthier alternative to cigarettes without the chemicals, tar and smell. It’s products are as safe as they can be. The brand is more refined than many of it’s competitors whilst avoiding being clinical or stuffy. Colours: Orange greys and white. I start by sketching a lot of very quick, very rough ideas, then re-draw a few that I think might work a bit neater with a bit more consideration. 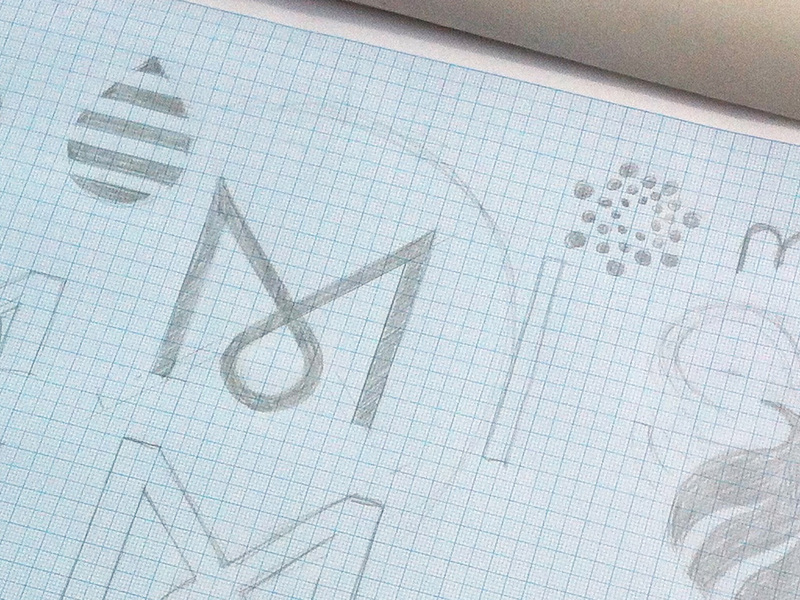 Here are the worked-up sketches (still very rough concepts).